The already-bankrupt commonwealth is reeling from the devastation wreaked by Hurricane Maria. Blackouts may persist for months even as a $72 bln debt bill looms. Without swift and generous aid from Washington, a mass exodus for the mainland will only increase the ultimate cost. 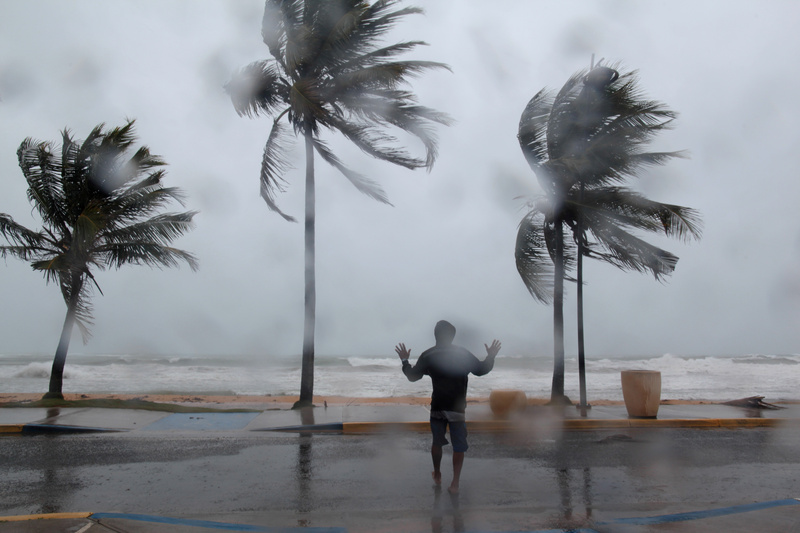 A man reacts in the winds and rain as Hurricane Irma slammed across islands in the northern Caribbean on Wednesday, in Luquillo, Puerto Rico September 6, 2017. Hurricane Maria lashed the U.S. territory of Puerto Rico with winds of more than 150 miles per hour on Sept. 20. The commonwealth has been mostly without power and clean water for several days. Puerto Rico filed for the biggest government bankruptcy in the United States earlier this year and owes about $72 billion. On Sept. 25, government officials asked a federal bankruptcy judge for as much as four extra weeks to meet discovery deadlines in the case. Congressional leaders said they will act to provide Puerto Rico disaster relief. Trump plans to visit the Caribbean island on Oct. 3.